Tonight I made a quickie dinner because we had a 7:30 appointment at David’s Bridal for Nicki to try on wedding dresses and for me to try on bridesmaid dresses. 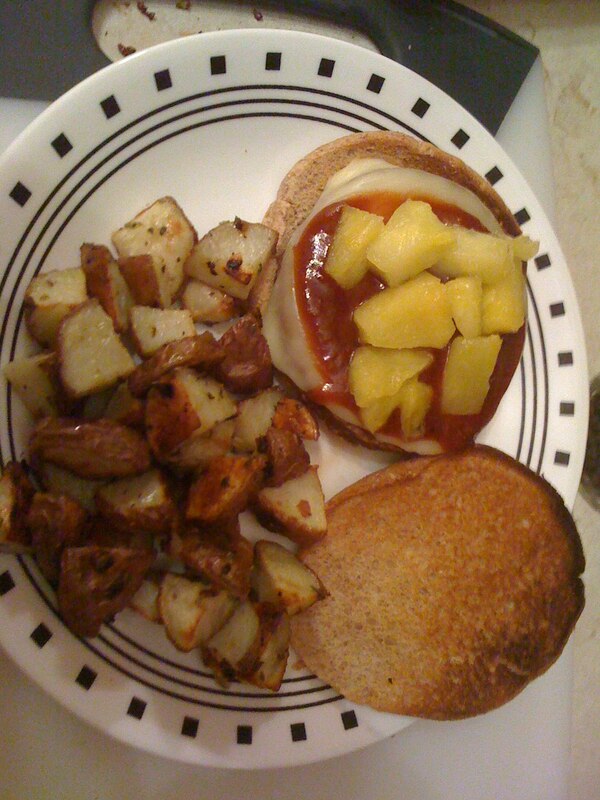 For dinner I made some roasted red potatoes and a veggie burger inspired by the Red Robin Bonzai Burger. It was a Morning Star patty, with Munster cheese, a bit of BBQ sauce and some pineapple chunks. chop up potatoes and toss in a ziplock bag. bake at 350 for 30 – 40 minutes. The trip to David’s Bridal was a huge success! Nicki found (and purchased) her dress!! I took a ton of pictures, but since one of the dresses was actually purchased I’m not going to be posting any of them. We’re also almost 100% on the bridesmaid’s dresses, but we want at least one other bridesmaid to try it on. We’re all pretty similar in body type, but it helps to see the dress on more than one person. …and these are the colors. 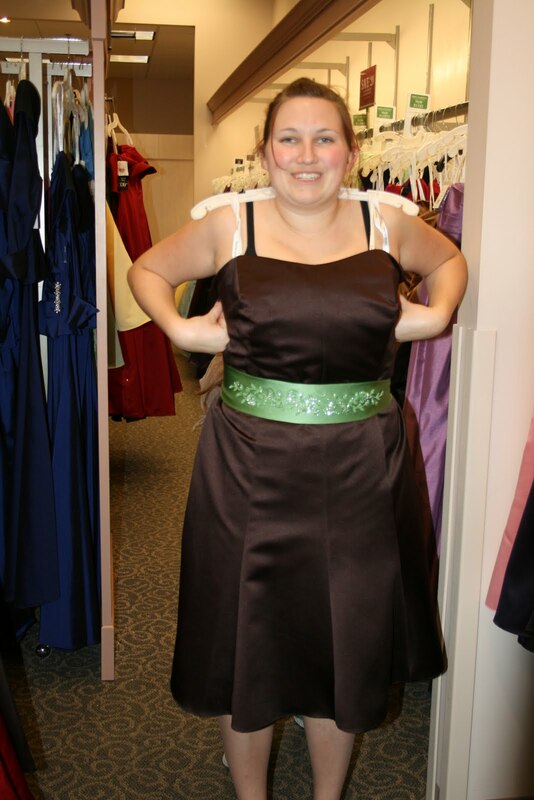 That brown dress was a size 24 so it was way too big to actually try on, but we wanted a picture of the color combo for the bridesmaids. I have some big news my wonderful readers! I am going to be moving over to wordpress in the next week or so. I’ve been considering it for a while now as I’ve heard wordpress is a much better blogging platform, but I made my decision after one of my earlier posts got eaten by Blogger. Blogger has eaten one post too many! So keep your eye out for my new address!